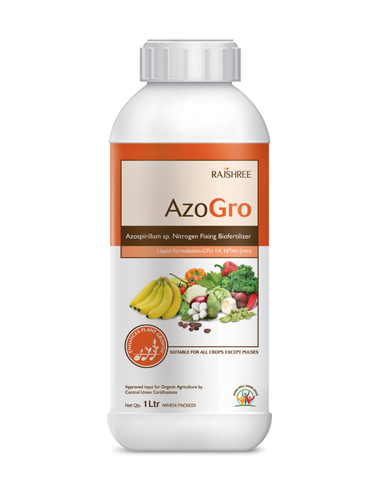 AZOGRO contains dormant form of bacterium Azospirillum sp which fixes the atmospheric nitrogen in the soil. When applied to the soil, the dormant form of Azospirillum sp gets activated and produces a fresh batch of active cells through division/fission, using the carbon source available in the root exudates and soil, to multiply. AZOGRO provides natural habitat, plant root interaction and biosynthesis of biologically active compounds like vitamins, nicotinic acid, IAA, gibberellins etc. This accelerates the growth rate of the plants. This product is suitable for all crops. Phosphorus is an essential macronutrient for plant growth and development and a key factor for crop productivity. Phosphorus in soil is immobilized or become less soluble either by absorption, chemical precipitation or both. Around 95 – 99 % of the total soil phosphorus is insoluble and is not directly available to plants. Phosphorus deficiencies lead to slower and often stunted growth and decreased yield. 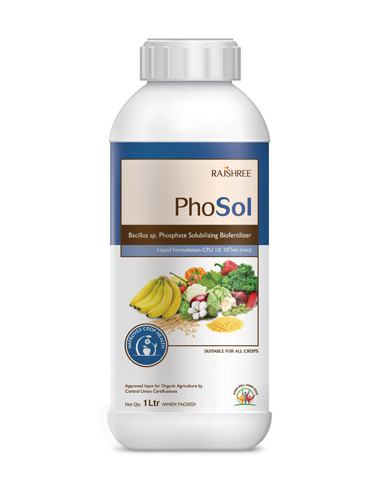 PHOSOL contains the phosphate solubilizing bacterium Bacillus sp., which, on reaching the soil gets activated and produces fresh batches of active cells. During their growth, they secrete organic acids that solubilize the fixed phosphorus in the soil and make it available to the plant in a usable form. This product is suitable for all crops. Potassium is abundant in soil and has a vital role in plant growth and the formation of amino acids and proteins. It activates a number of enzymes and its deficiency decreases photosynthesis. But this potassium is fixed in soil clay particles and cannot be utilized by the plants, directly. POTAVIT contains Frateuria sp., which has the ability to mobilize the elementary potassium or a potassium mixture which can be easily absorbed by plants. The mobilizing power is so high that it can eliminate the use of chemical potassium fertilizer by up to 25-30%. This product is suitable for all crops. 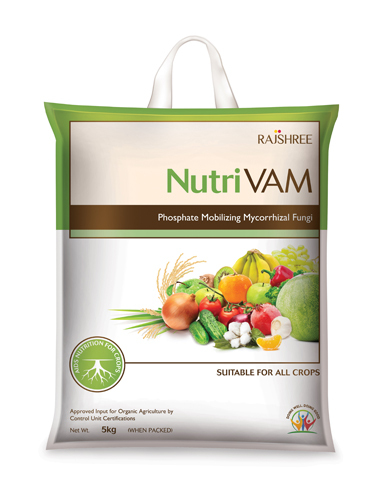 NutriVam is a vermiculite based formulation containing VAM spores and VAM- packed roots. VAM is a beneficial fungus and makes a symbiotic association with the plant roots. These associations are characterized by bi-directional movement where the carbon flows to the fungus and nutrients move to the plants. Compared to non-mycorrhizal plants, mycorrhizal plants can absorb more phosphorus and other micronutrients from soil. They enhance plant resistance to drought, stress, salinity and some pathogenic infections. NutriVam improves nutrients and water uptake, thereby providing improved plant growth and yield.This product is suitable for all crops. Available in 1 Kg & 5 Kg packs.